Articles published in "The Villages Mag"
The railway viaduct, an important feature in our landscape, was built as part of the Manchester and Crewe Junction Railway between 1840 and 1842. The line was opened as part of the Manchester to Birmingham Railway Company as far as Sandbach on 13th May 1842. The engineer in charge of construction of the line was George Watson Buck a canal and railway engineer, and a stone with his name and the date 1841 was placed at Goostrey station where it can now be seen mounted on a wall on the Manchester platform. 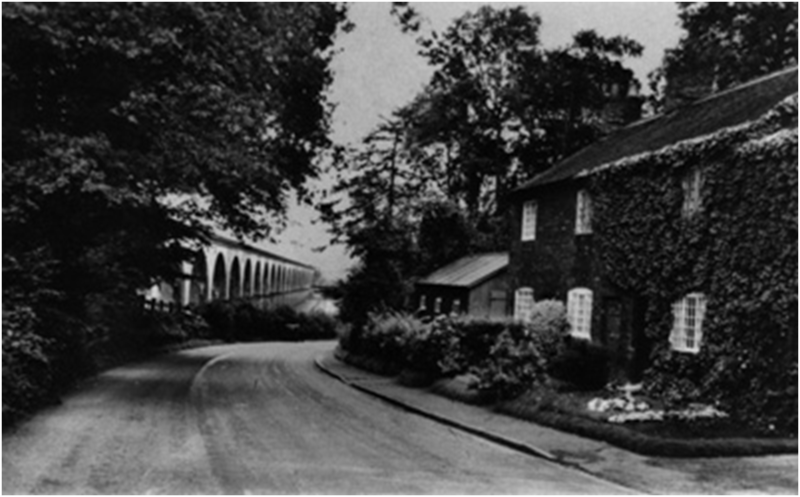 Holmes Chapel’s population easily doubled during the construction of the viaduct. In the census in 1831, the population was 406. During construction in 1841, it rose to 1008, and afterwards in 1851 it fell back to 555. Over 500 people were involved in the building of the viaduct – masons, bricklayers, carpenters and a vast number of “navvies” whose dress and outlook made them a distinct social class. There was no accommodation for such numbers in the village, and most lived in a camp adjacent to the viaduct. Because of demands on local bakers, sometimes navvies had to walk four miles to Middlewich for a loaf of bread. The viaduct is the longest on the line at 1794 feet with 23 arches each of 63 feet span, a considerable feat of engineering for over 150 years ago. Stockport viaduct is higher, but is also slightly shorter.